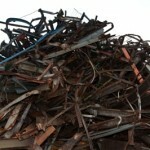 Murphy Scrap Metals are Scrap Metal Wirral specialists who have been established for over 50 years in the area. Providing a scrap cars Wirral and scrap collection in Wirral service, they are recognised as the leading scrap metal dealers, providing a service that is second to none. From their depollution centre in Birkenhead, Murphy Scrap Metals deal with all types of ferrous scrap metal through a safe and environmentally friendly process. For any scrap metal, scrap cars and any other scrap collection in Wirral, call Murphy Scrap Metals on 0151 647 8578. When you see an advertisement that says Scrap Metal wanted in Bromborough, do your research before you offer your scrap to them. As almost all vehicles have a lifespan and when they stop working it is time to find a scrap car dealer in Bebington. Scrap metal merchants in Oxton help maintain a safe and clean environment in the region. Scrap for money in New Brighton is a good plan if you have a load of scrap metal lying around your home or workplace. Among local scrap metal yards in Bebington, Murphy Scrap Dealers leads the way in ferrous metal. Scrap metal merchants in Meols will purchase your unwanted scrap metal. If you contact the right scrap car dealer in Wallasey you’ll find that old cars that are no longer road-worthy do have a certain monetary value. If you are looking for scrap metal yards in Leasowe, Murphy Scrap Dealers is the place to visit. Scrap for money in Prenton is a great way to get rid of the scrap metal that has been taking up space in your workshop. If you’re looking for scrap car dealer in Bebington to scrap or recycle your car, then you don’t need to look any further than Murphy Scrap Dealers.